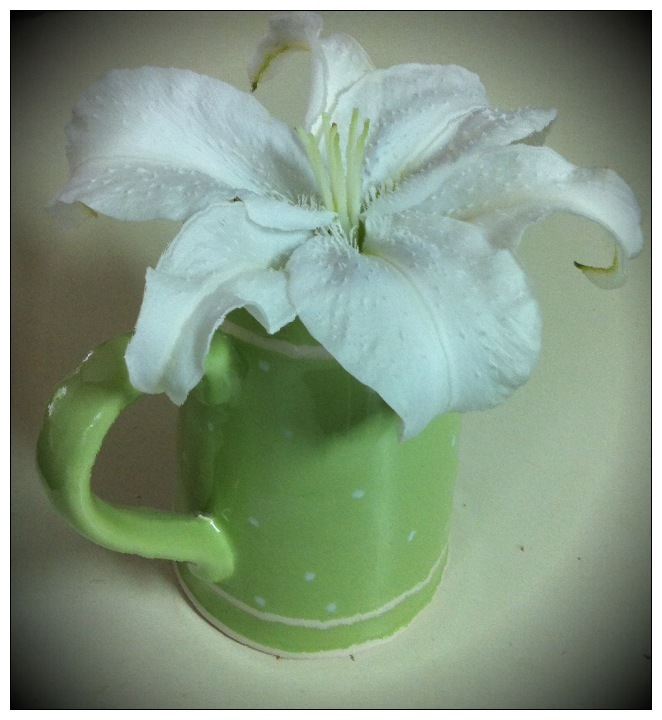 My dear friend, Sarah, gave me this lily last week. She says it's called a Casablanca lily and I can't tell you how good it smells. It lasted a full week in my sweet pitcher perfuming the house. Unlike many white flowers, this beauty stayed perfectly white. It's been such a joy! It's full steam ahead for TBAI! i'm off to clay class today where I'm working on a fountain which I'll use on my table either for the New York show or later in Hunt Valley in November. I have a really neat "tree house" that will be part of my Arbor Day gallery piece and I'll be showing you how it comes together. It's REALLY warm here in southern Virginia! Stay cool my friends!! Your tree stump looks fascinating. Enjoy the perfume and stay cool. Thanks, Kay! These blossoms are so lovely! Hope the tree stump makes it through it's firings! !